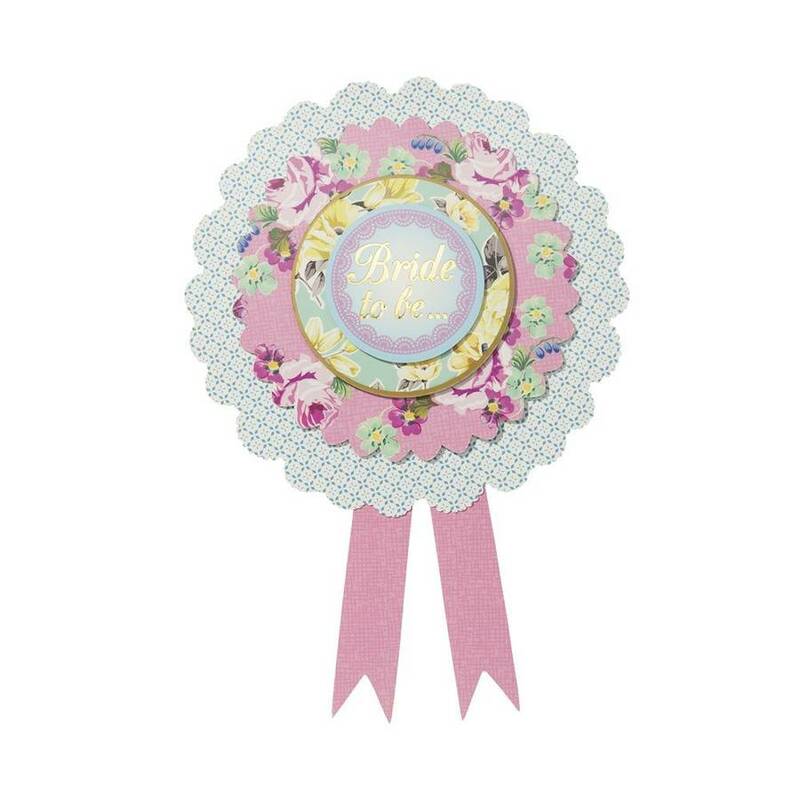 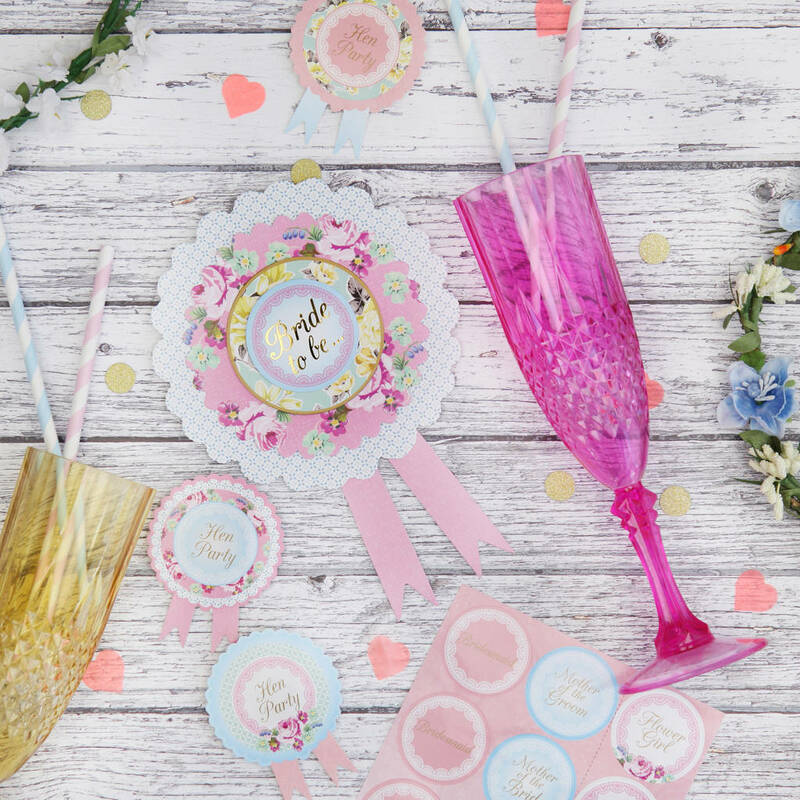 A colourful and pretty, layered Hen Party Rosette perfect for the Bride-to-be! These wonderfully unique and tasteful layered rosettes are the perfect accompaniment to any Hen Party, naughty or nice! 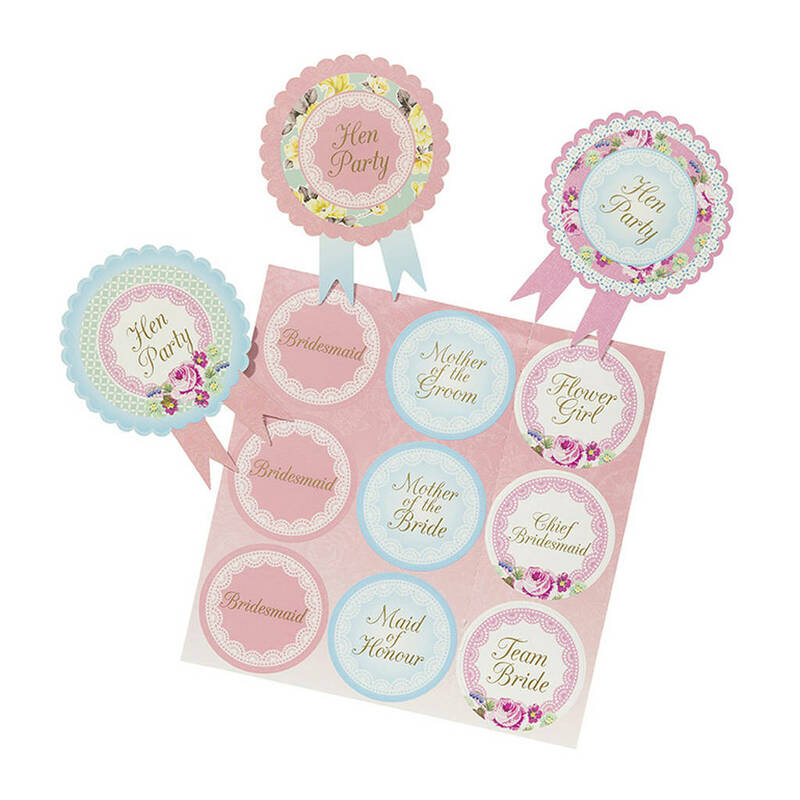 These beautiful rosette badges have a vintage floral design with gold lettering, and will make any bride-to-be feel truly scrumptious on her night in or out with friends. 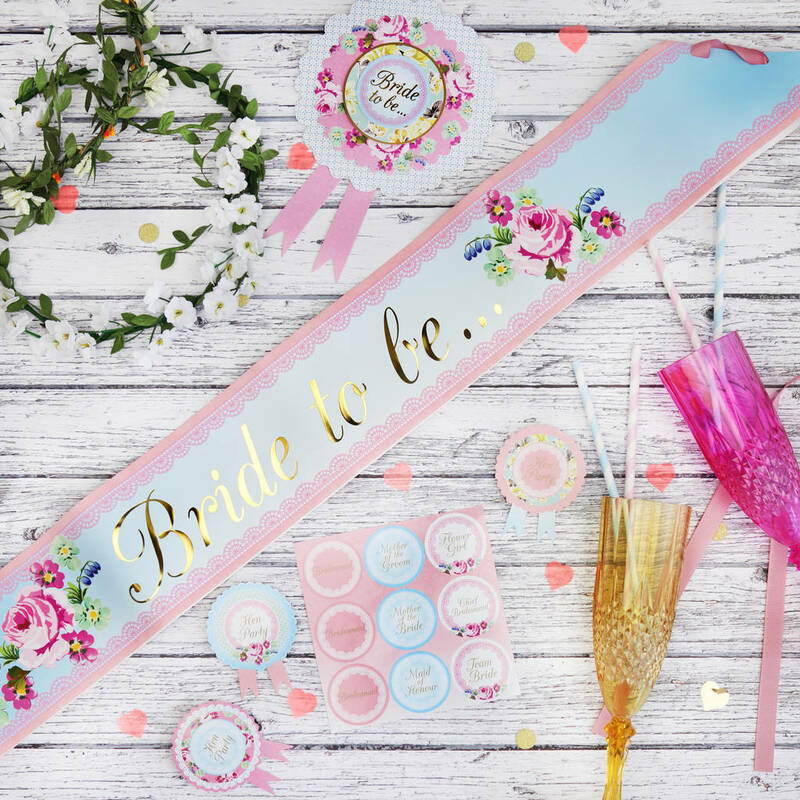 Why not compliment your rosette with an equally beautiful hen party sash? 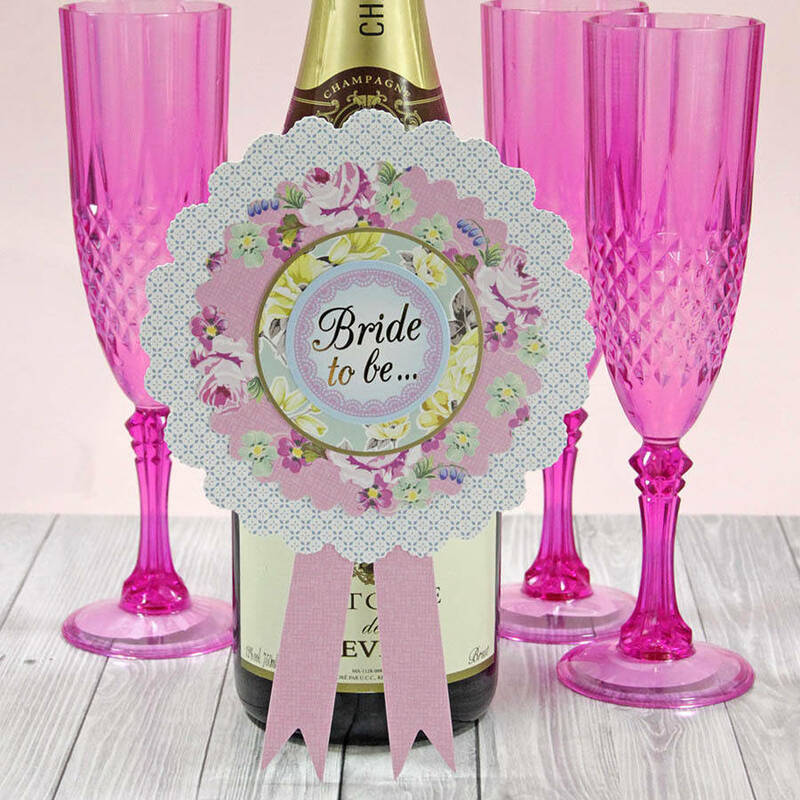 Or smaller badges for all the hens? 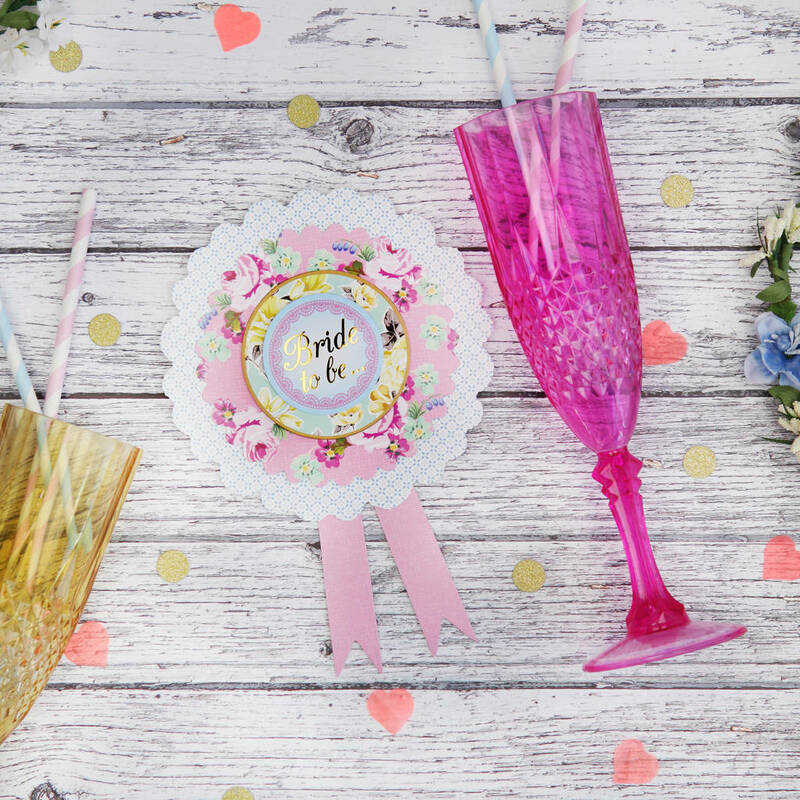 If you're lacking time, ideas or want something more personal, we can make up complete party boxes, tailored to that special someone, simply get in touch. 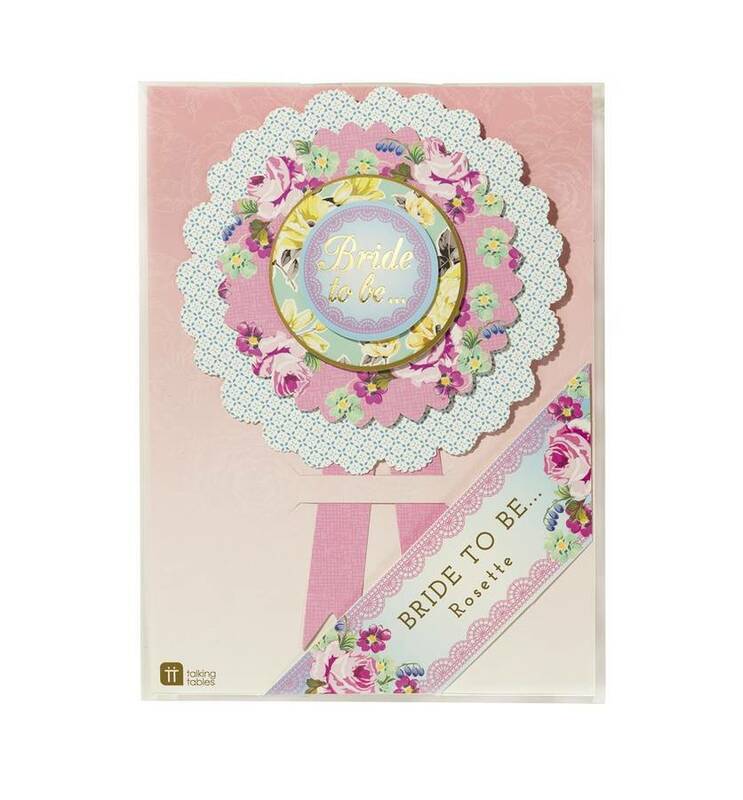 This rosette is made from card with a pin on the back to attach to the bride's clothing.